Stem cell therapy has been a far-reaching idea that has gradually grown closer to feasibility for multiple specialties. But it has often fallen short in being provided in a clinically viable manner, consistent with good manufacturing practice (GMP) standards. Problems with ensuring that pluripotent cells differentiate and organize properly, that the patients’ immune systems do not reject them, and that the cells do not become cancerous have been prevalent. A team of investigators from the National Eye Institute recently published a study suggesting that they have developed a method for injecting specialized stem cells to regenerate damaged retinal epithelial cells in the eyes of patients with advanced dry age-related macular degeneration (dry AMD)—and that it is ready for clinical trials in humans. “If the clinical trial moves forward, it would be the first ever to test a stem cell-based therapy derived from induced pluripotent stem cells (iPSC) for treating a disease,” Kapil Bharti, PhD, head of the NEI Unit on Ocular and Stem Cell Translational Research and lead author on the study, said in a statement. The team harvested CD34+ cells from blood of 3 different human patients experiencing AMD, and turned them into induced pluripotent stem cells (iPSCs). 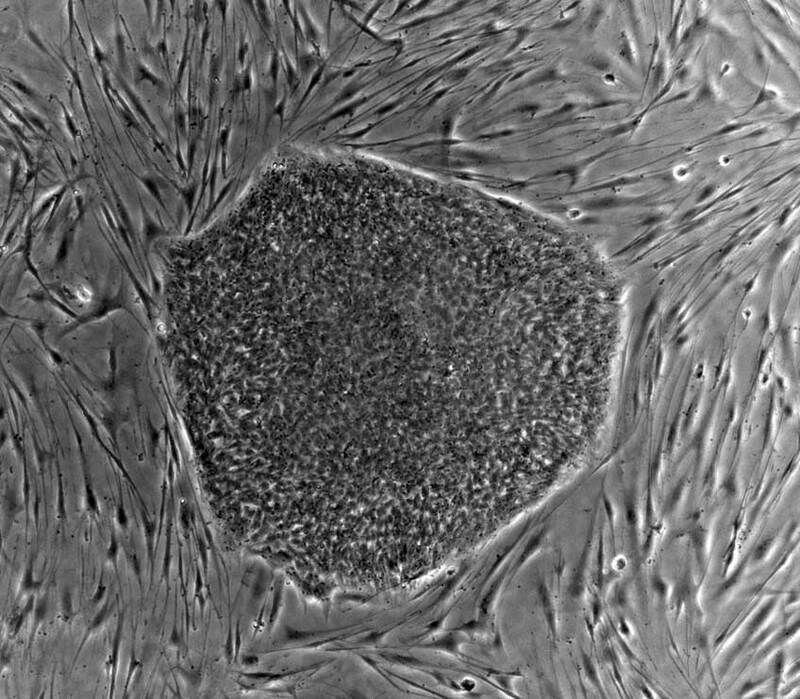 They created a bank of iPSCs from these cells on which they tested and optimized methods for coaxing the cells to differentiate into functional cells that that could be safely inserted into the retinal pigment epithelia (RPE). Those RPE cells then keep remaining photoreceptors healthy, allowing patients to theoretically maintain their sight. They then tested the methods which they developed to be clinical-grade manufacturing methods, both in vitro and in vivo. For the in vivo tests, they seeded the cells on a biodegradable substrate that mimics their formation in the eye and then inserted them into rat and pig models, using a specialized tool developed for this purpose. The rats were immune-compromised or had RPE dysfunction-associated retinal degeneration, and the pigs had a laser-induced RPE injury. The substrate improved the integration of these cells into the animals’ RPE. The models were assessed for 10 weeks, at which point imaging studies confirmed that the cells had properly integrated into the animals’ RPE and acted as normal RPE cells. Electrophysiological recordings showed normal activity in the transplanted cells. In controls without the transplants, photoreceptors had died. Investigators noted the ten-week manufacturing process may make the therapy expensive. Nonetheless, an application was sent to the US Food and Drug Administration (FDA) to receive approval for the first human trials of the technology. There may be hope yet, Bharti said, for previously untreated patients with AMD.